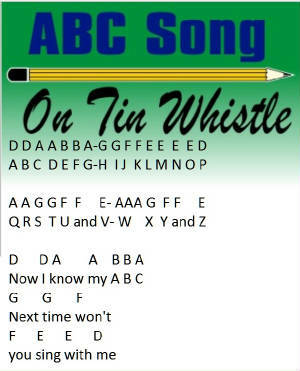 The ABC / Alphabet Sheet Music And Notes On Tin Whistle. 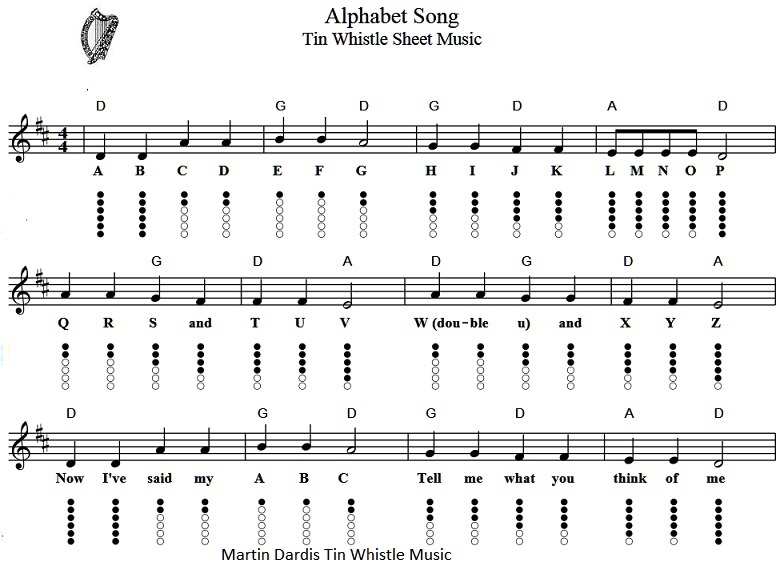 A song that helps children remember the letters of the alphabet by making a song out of the letters in a rhyming way. You may notice that there are a lot of these kids songs that use the same tune with just a note added or taken away, songs such as Twinkle Twinkle and Baa Baa Black Sheep.